Summer vacation is well underway and the kids are enjoying being away from school. Now that the classrooms are empty, this is the perfect time to deep clean the entire school! 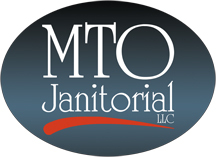 MTO Janitorial talks about deep cleaning your Prescott school. Make sure your school is a clean and safe place for both children and staff to return to in August. A healthy, fresh learning environment will help students and teachers focus on the new school year. Ready for quality and reliable janitorial services in Prescott?